Heathrow has announced a multi-million pound package of investments and tools to improve the travel experience of passengers with disabilities and mobility restrictions at the airport. The number of passengers requesting special assistance at Heathrow is rising at approximately 8% annually, with over one million requests in 2017 alone – more than any other European airport. Following a report by the Civil Aviation Authority this year, Heathrow is taking proactive steps to transform its service for these passengers, backed by an investment of £23 million in a revamped, upgraded contract with its special assistance partner, OmniServ. Heathrow announced the introduction of a distinctive lanyard that will allow passengers that need tailored help and support to discreetly identify themselves to Heathrow staff. This lanyard is part of an established service initiated at Gatwick and rolled out in other UK airports, and is supported by leading UK charities including the Alzheimer’s Society, the National Autistic Society and Action on Hearing Loss. Special assistance staff, security officers and passenger ambassadors at Heathrow have been trained to identify the lanyard so they can provide additional assistance, or allow passengers wearing it more time or space as they travel independently through the airport. 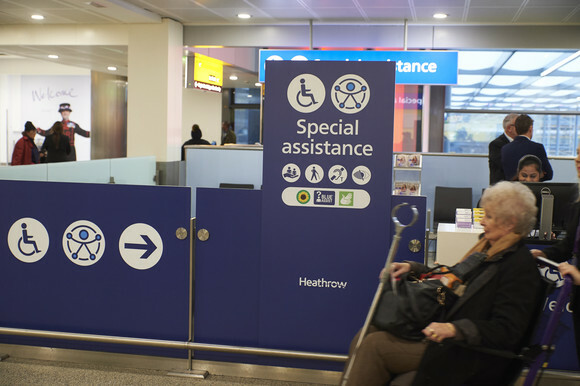 Also, Heathrow announced further changes it has made following passenger feedback, including new signage across the airport which displays the United Nations new symbol of accessibility. 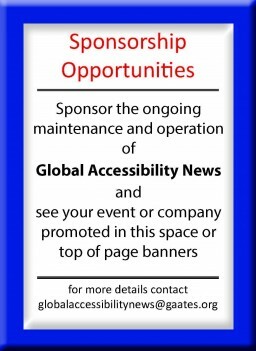 Starting this month in Terminal 3, special assistance signage will be a distinctive blue, and easier for passengers to identify as they make their way around the airport. The airport also promoted a new on demand app that is being used by passenger ambassadors and special assistance providers across Heathrow to access trained British Sign Language translators on demand to assist deaf passengers travelling through. “I am delighted to see for myself how Heathrow has improved the experience for those with disabilities or restricted mobility at their airport and to hear that they are constantly striving to do more.